I was feeling the spirit of everyone’s favorite day – Valentine’s Day. (haha) I was in the mood to do my nails. I wanted to do something quick and easy. 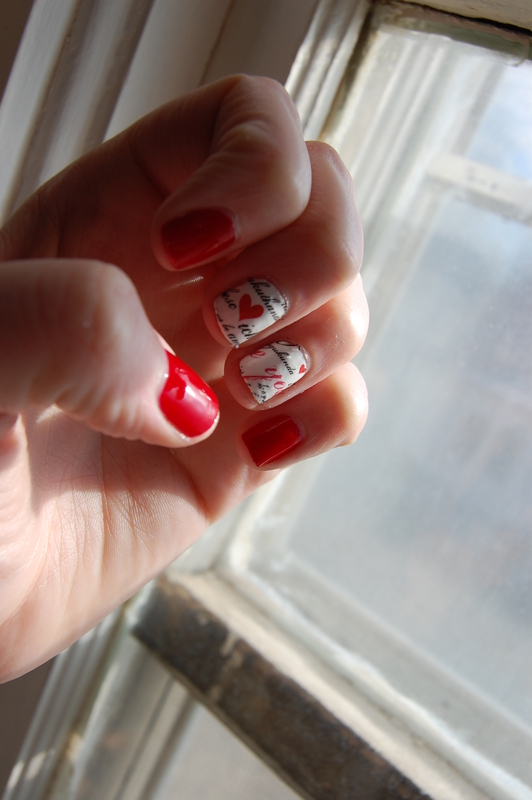 I realized that Valentine’s was coming up at the end of this week, and I remembered that I had some nail tattoos. I knew exactly what I was going to do. I won’t go into much detail into what I did. It’s pretty simple. 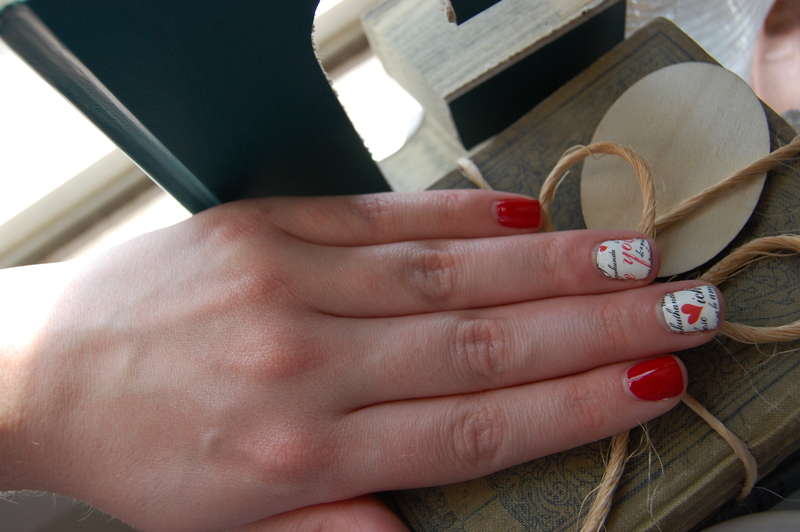 I painted some nails red and my middle and ring fingers white. The tattoos backgrounds are transparent, so I chose the white to make the black and red pop out. 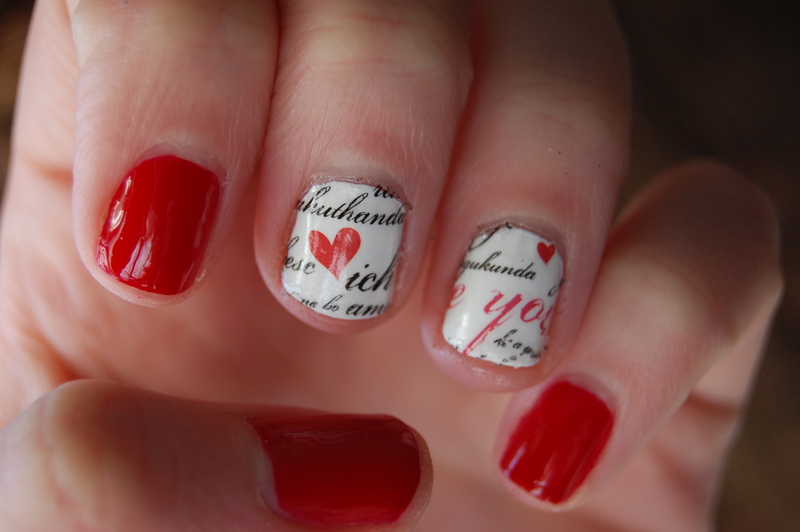 The nail tattoos work just like temporary tattoos. Just make sure you put a top coat on to seal them in. I moved the the tattoo paper away form my nail too fast and created a broken heart. I really like how these came out. Easy, simple, and fast. 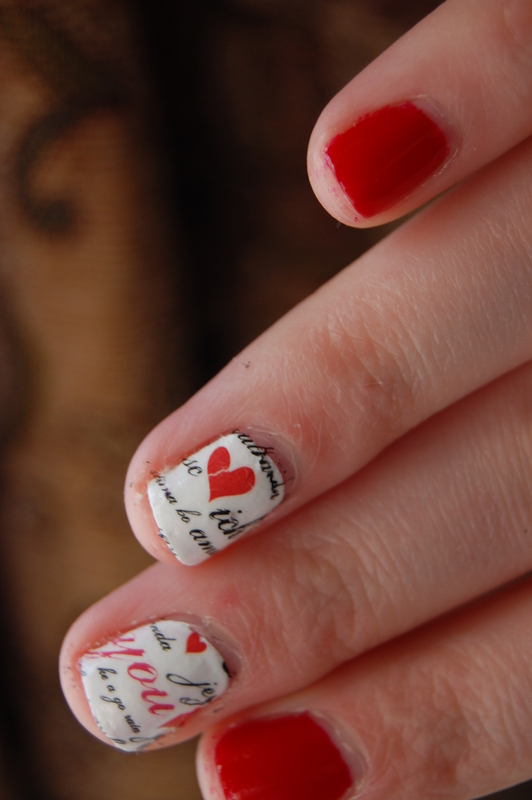 This entry was posted in Beauty, Nail Art and tagged beauty, design, fashion, heart nails, holiday manicure, holiday nails, love, mani, manicure, nail art, nail design, nail polish, nail stickers, nail tattoos, nood mood, red nails, valentines day, vday. Bookmark the permalink.